Definitely one for the seafood lovers out there with this burger sensation. The Thai Fish Burger from Haché is a flavour explosion with fresh fish crumbed to perfection teamed with spices and lemon grass is a sure palate pleaser. Now, if that wasn't enough, top it with irresistible crowd-pleasing sweet chilli and spring onion and you have the ultimate fish burger that puts a fillet-o-fish to shame. 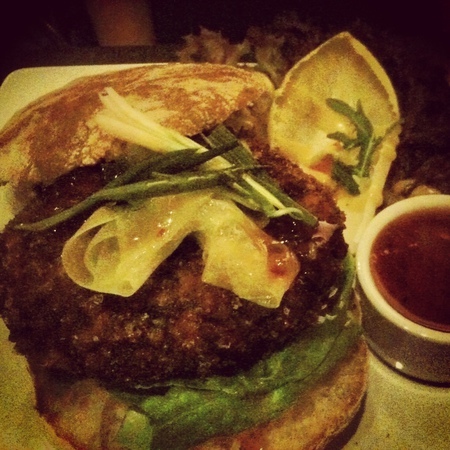 A gourmet burger from Haché is a must for any burger lover. With great service and even better food that is fresh, local and tasty Haché it a win-win option for diners. Priced just under ten quid ocean lovers will love this Thai spectacular.